When you say the name Barry Bonds to baseball fans you tend to get one type of reaction or the other. There are those who manage to look beyond the accusations of being a jerk and the accusations of steroid use and the other controversies that dogged his career and just see his accomplishments. These people are the stats people who just know that Bonds hit 73 home runs in a single season and then hit 762 career home runs to take the career home run record. Then there are those who sneer when you mention his name and have nothing but contempt for a man that they feel cheated his way into the record books and, ultimately, got what was coming to him when he ended up indicted for perjury and sentenced to prison. There are two facts, however, that most fans should know about Barry Bonds. The first is that, without a doubt, he is the reigning home run king and has the most career home runs. The second is that he has been endorsed as the undisputed king of home runs by none other than Hank Aaron himself, the man who previously held the record and title. Bonds played the game from 1986 until 2007. In that time he played for the Pittsburgh Pirates and San Francisco Giants. He had impressive numbers and was known as a slugger who could easily pound it out of the park. During his entire career he would rack up numbers that would leave any baseball stats fan gasping. He was a seven-time National League MVP. He was a 12x Silver Slugger Award winner. He won the Hank Aaron Award three times. He was an All Star 14 times, a 1996 Home Run Derby winner and an eight-time Golden Glove winner. He had 762 total home runs and a batting average of .298. By statistics alone, Bonds is impressive. However, his behavior off the field has left many fans feeling that his greatness is forever flawed. There have been long-standing rumors of Bonds being rude to fans and teammates. Former Chicago White Sox player Ron Kittle stated in a book he wrote about his time in pro baseball that Bonds once refused to provide autographs for jerseys and baseball bats that Kittle intended to auction off for charity. Bonds was known to brush off those who accused him of being rude. In many interviews he stated that he knew that people thought he was a jerk, but didn’t care. His contention was that his numbers gave him all of the power he needed to act any way he felt he needed to off the field. Then came the accusations of steroid use. He came under investigation by a Federal Grand Jury that was looking in to accusations of widespread steroid use in baseball. 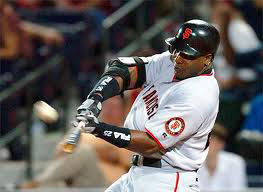 Bonds had had contact with the Bay Area Laboratory Co-Operative (BALCO) which was known to provide steroids to players. 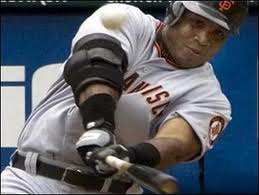 Bonds testified that he thought doctors at BALCO had given him linseed oil and that the creams he was known to apply were not laced with any performance-enhancing drugs. Bonds was later indicted for perjury and later convicted. So, for many fans of baseball, Bonds remains an enigma. There is no denying that he was a great player as the numbers do not lie. The question remains, how did he come by those numbers and did his attitude mean that whatever praise should be heaped upon him, is actually undeserved? Only history will tell the tale for sure.